Developing countries lose more than $1 trillion every year in illicit financial flows, stemming from crime and corruption. This fast-rising figure is already 10 times the total amount of foreign development aid these countries receive. If and when this wealth is identified, returning it to the country of origin is a complex, intergovernmental process. High profile cases where this has partly happened have included the return of assets relating to former Philippine President Ferdinand Marcos, the recovery to Peru of assets stolen by Montesinos, and ongoing cases processes relating to former Tunisian President Ben Ali. All too often though this wealth is either not identified and confiscated or asset recovery processes fail in part or in total. Research has been undertaken by a number of actors to describe some of the techniques that could be employed to facilitate asset recovery and to provide an overview of completed cases, however, there is a lack of solid research into which civil society organisations work on this, the work they have done and where there is the potential to strengthen cooperation. Understanding this is important. Outside of large NGOs, there is currently little knowledge of who works on asset recovery worldwide, and particularly from the Global South, and what their capacities are to act. Having this knowledge is vital for both civil society, who need to collaborate across borders on cases such as these, and public sector actors, who want to and should alert local civil society when returning stolen public funds. This lack of information has in certain cases led to (1) governments returning money without the knowledge of local civil society, making oversight more difficult; (2) cases being undertaken in one country without the knowledge of civil society in another and (3) a lack of positions by organised civil society that can truly be said to be global. This has particularly been the case in returns to countries where civil society is not as strong or not as linked into global networks. On a global level, we plan to carry out a mapping and assessment of civil society organisations working on this topic from the countries currently involved in stolen asset cases. The objective is to build a ‘who-what-where database’ that would be accessible to civil society organizations working in this field and, as the first of its kind, would be a key resource in building a global network on this topic. Secondly, we aim to conduct in-depth assessments of civil society in five countries with the most relevant asset recovery cases worldwide, with the most promising potential for strengthening their role nationally and for international civil society cooperation. These in-depth assessments would both profile the landscape of civil society working on this topic, their capacity needs and the linkages between them nationally, regionally and at the global level. This information would be used to both plan interventions to support civil society in these four countries and to prepare for a civil society forum bringing those organisations together with NGOs working on these issues from the countries where the assets are located. Since 2015, CiFAR has built numerous contacts with civil society organisations from different regions as part of our ongoing work to support civil society to work on asset recovery. 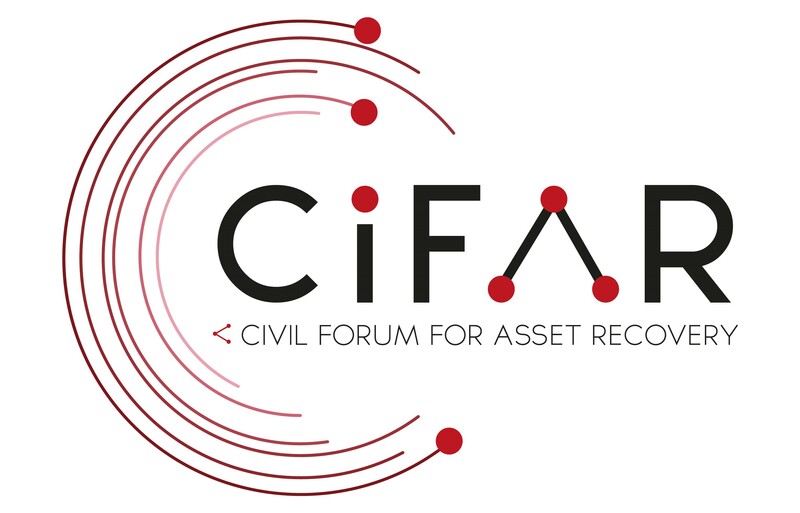 To facilitate this, CiFAR conducted desk research in 2016-2017 and identified over 100 organisations that have an interest or have already worked on asset recovery, collecting basic information about them. With this project, we aim to strengthen this knowledge by identifying with them their areas of expertise, interest and creating a network analysis of their connections with the asset recovery sphere, which will allow us to understand who is already working with whom and build on this for future work together. We will conduct phone conversations with 50 of the most promising of these organisations and submit questionnaires about strengths and weaknesses, interests, risks and potential for cooperation. In addition, we plan to go further in five countries from different regions, including Latin America, Sub-Saharan Africa and South-East Asia, where civil society has been less visible in global discussion between and about civil society and where there are large, ongoing cases of asset recovery and undertake specific needs and network assessments, with a view to identifying action plans to support these organisations.